RSS affiliate Swadeshi Jagran Manch (SJM) has sought Prime Minister Narendra Modi's intervention to stall a possible takeover bid on ITC by the British American Tobacco Company (BAT). In a letter on October 16, SJM has expressed concern over the decline in the share holding of domestic financial institutions in public listed ITC and cautioned that it will result in BAT, a 29.6 stakeholder in ITC, gaining control over the agri-business and hospitality major. The recent decision of BAT to not support a decision by ITC board to give stock options to its employees is what has enraged SJM. 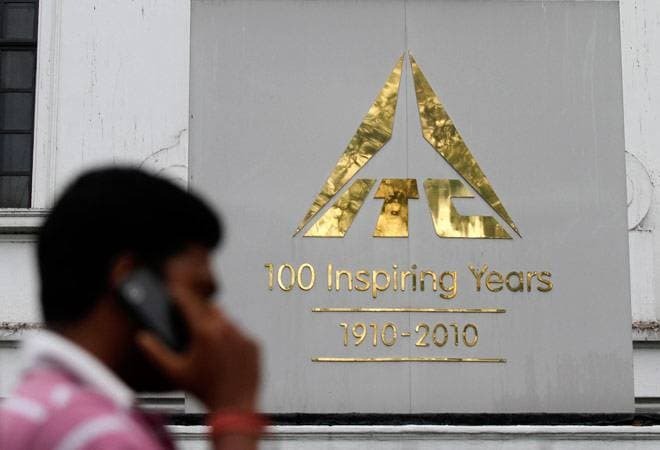 "In case of ITC, shares held by domestic financial institutions used to be 32 per cent of total and by BAT's group companies (foreign entity) is 29.60 per cent. As a consequence of the share sales management by agencies, the shareholding of public sector financial institutions and the government of India in ITC has come down significantly, narrowing the gap between the shareholding of the government of India and its institutions and BAT," SJM notes. The letter says, "This has increased the risk of the possible takeover of management by the foreign company BAT, by virtue of the fact that BAT would become the dominant shareholder and the company will go into the hands of foreign management, and for all practical purposes, become a foreign company, which at present is an Indian company with an Indian soul". According to Ashwani Mahajan, National Co-convenor, SJM, ITC had a turnover of Rs. 43,957 crores in 2017-18 with no transfer of royalty to foreign countries. "The company also has significant cash reserves. If it goes into the hands of an MNC, as per the existing rules with regards to transfer of royalty payments to foreign masters; and as per the projections of sales, by the company in 2018-19, royalty outflow would be over Rs. 2,200 crore which in next 5 years would cumulate to over Rs. 13,500 crores. Apart from this, the government would lose dividend income of over Rs. 4,000 crores over the next 5 years", Mahajan warns. Mahajan says that ITC has been earning huge profits, doing enormous value addition and contributing greatly to the exchequer in recent times. "Past experience clearly tells us that with the change in management from Indian to foreign nationals or other entities, the entire nature, working and objectives of the companies change altogether. The thrust shifts to maximising profits by increasing import intensity that increases outflow of money in the form to royalty, technical fees, salaries and others, directly affecting the country's forex reserves," he says. Terming BAT's move to oppose the board decision on employee stock option, as "a symptom of the real game plan of BAT to destabilise the Indian Management to achieve its long term objective to taking over the company and re-converting ITC into a tobacco company, and maximising returns for the parent company", SJM sought Prime Minister's intervention to increase government shareholding in the company. Earlier known as Indian Tobacco Company, ITC had in the recent years diversified its business into a wide range of activities including hotels, paper and paperboards, education and stationery products, personal care, agri-business and food processing.